Marble is enticing, marble is for lifetime!! We don’t claim so, but this is what natural stone lovers keep saying all the time. And, Why not! Marble truly deserves the status of being acclaimed globally. So, what about the one that comes from India? Not sure..!! Let’s try to understand it with an example. Hope, we all are pretty aware of the shear splendid of the very famous Taj Mahal – regarded as one the “Seven Wonders of the World.” Well, this architectural gem in itself is one of the best examples to testify the superior quality of Indian marble as the white marble used to build the same came from the Makrana region of Rajasthan. When it comes to a unique countertop product in kitchen, fantasy brown countertop makes a big difference. In fact, even today, a major chunk of the export-quality Indian marble is extracted and processed in the Indian state of Rajasthan. It would be wrong to say that the all-white image of marble has been deeply embedded in our minds, which actually holds true for almost all of us; be it a connoisseur of natural stones or a layman. But, do you know that marble does come in other colors and shades that are equally impressive!? Surprisingly, marble in various shades of green, golden, pink and brown can modify your interior looks the same way as the white marble. One such unique marble variety is Fantasy Brown countertop marble from India that has recently gained extreme popularity. 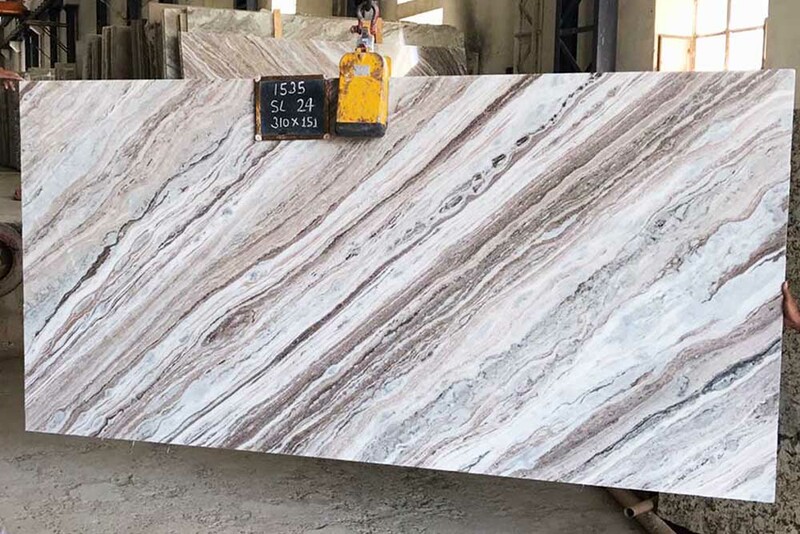 In fact, its huge demand around the world has made Fantasy Brown marble suppliers and exporters from India to boost its production as a kitchen material manifold in the last few years. This unique marble has an off-white and brownish base that distinguishes it from the typical white marble. 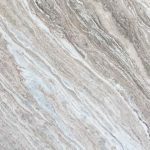 This brown marble is further graced with twirls and swirls in grayish tones, extending all along its surface in a diagonal manner, that beautifully showcase its naturality. On top of these, inconspicuously dull tones of rose and green, mainly because of mineral formations, further add to the mesmerizing appearance of this Indian marble that is sure to steal your heart away. Typical of Indian marble, Fantasy Brown marble product possess all the impressive qualities that you can expect from this Indian natural stone. It is hard, durable and can resist various environmental factors and extreme weather conditions. It would be surprising for many of you to know that this brown marble from India is relatively stronger than the typical white marble; which makes it suitable for various indoor and outdoor applications along with kitchen ambiance. Outdoors, Fantasy Brown marble can be used to create decorative art pieces, statues as well garden furniture. Likewise, this brown marble from India can be used to create steps, risers and accent walls as well kitchen countertops and vanity tops inside homes. Due to its strong nature, Brown countertop performs well in highly functional areas like bathrooms and kitchens. In addition to its captivating looks, Fantasy countertops don’t get dirty easily, which comes as an added advantage to homeowners installing Indian brown marble countertops in their kitchens and homes. So, where to get this wonderful brown marble in India? Well, it pretty easy! All you need is to contact your most-trusted Indian brown marble exporter, Regatta Universal Exports. Owing to its rich experience of over 18 years in marble supply and export from India, Regatta Universal Exports ensures competitive prices, high marble quality, safe packaging, timely deliveries and unmatched customer service.